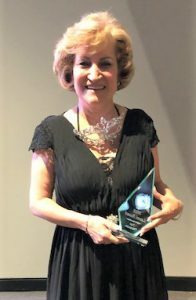 Mirtha’s 2018 production topped $16 million and she was recently presented with our 2018 Gold Award and Triple Crown (top closing agent, top sales agent and top listing agent). 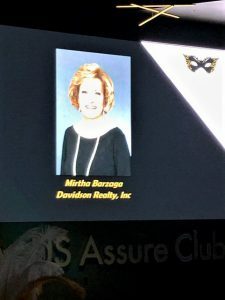 “As one of the hardest working agents I know, Mirtha truly earns every accolade she receives and we’re always glad to have her on our team,” said Sherry Davidson, President of Davidson Realty. 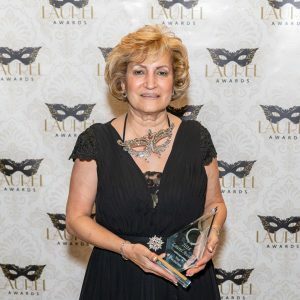 Mirtha has won numerous Laurel Awards including Million Dollar Circle: Individual Realtor Representing a Buyer (2010-2017), Excellence in Marketing (2016), Best Realtor Promotional Event (2017) and Top Producer (2012 and 2018). The annual Laurel Awards are presented by Northeast Florida Builders Association (NEFBA) to Realtors, builders and industry service providers for their efforts in design, construction, marketing, production and overall excellence. 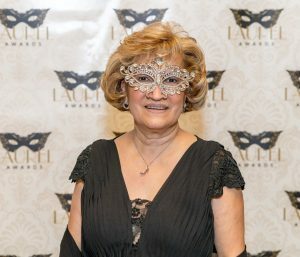 Mirtha accepted her award at the Laurel Awards ceremony on Friday, February 1, at TIAA Bank Field in downtown Jacksonville. Valued Davidson business partner Bank of England Mortgage also earned two awards including Gold Award for Best Print Ad and Silver Award for Best Overall Advertising Campaign. All winners are listed here.